Between the events of the Easter Rising of 1916 and the outbreak of the irish Civil War in 1922, large tracts of Dublin city centre and some of its iconic buildings – the Custom House, the GPO, and the Four Courts – had been destroyed in the fighting that took place in the city, and by 1923 had still not been rebuilt. 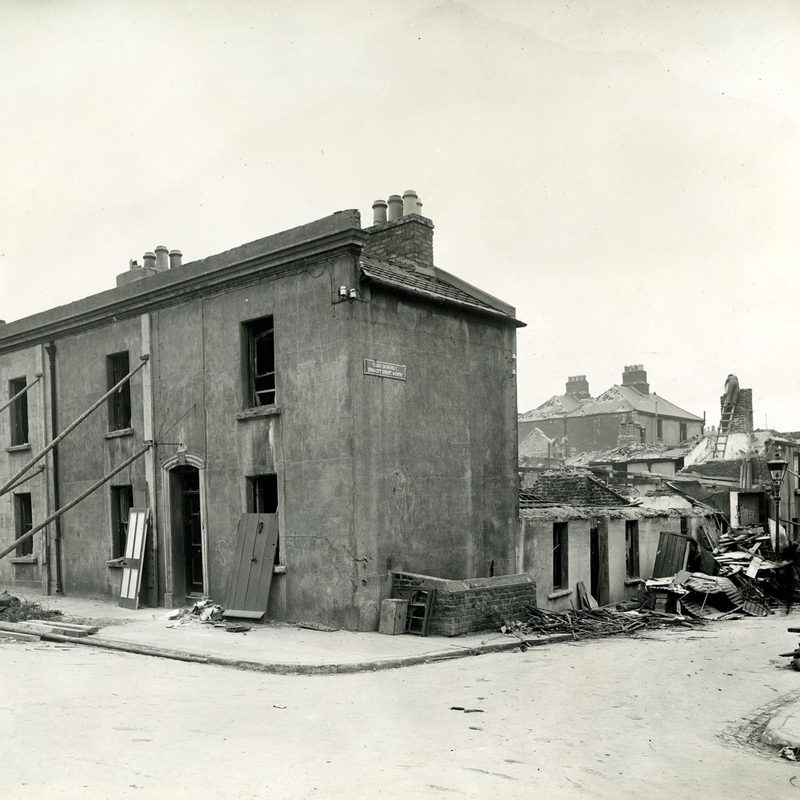 Given the scale of the destruction visited upon the city during the revolutionary period, it was inevitable that there would be, in some quarters at least, an inclination to use the reconstruction that was to follow as an opportunity to reshape Dublin's streetscape. Even prior to the First World War, a number of schemes had been mooted for the wholesale reworking of the city centre, most famously and successfully the proposals of the British town planner Patrick Abercrombie. These, and the more pressing question of slum clearance, had been left to one side on the outbreak of the First World War, but the ending of the revolutionary period saw these ideas revived. There were numerous grandiose plans for the reconfiguring of the capital in the 1920s, from Abercrombie's designs, to those of the 'Greater Dublin Reconstruction Movement', who in 1923 offered an extensive range of proposals for the wholesale redevelopment of the city: the GPO would become City Hall, the Customs House was to become a central train station and a new GPO, Dublin Castle would house the judiciary, and the Oireachtas would move out to new buildings to be constructed in Kilmainham. After all, medieval Dublin was long gone: why not continue the process of developing a modern city, unfettered by the legacy of the past? There was an expectation that the return of an Irish parliament – and its location was the source of much debate – would naturally usher in the prosperity that was assumed to be the victim of British rule. But any hopes that such grandiose plans would become reality foundered on the rock of finance: W.T. Cosgrave's new Cumann na nGaedheal government was in no position to spend money on such schemes even had the will been there to so; and it was not. Between 1924 and 1930, Dublin Corporation was suspended in what was a fundamentally political decision by the Free State government; instead, the city was governed by three appointed commissioners. Calls for municipal reforms led in 1930 to legislation which expanded the city limits and integrated the townships around its rim into the jurisdiction of the restored corporation: the long-cherished autonomy of Pembroke and Rathmines was a notable casualty. 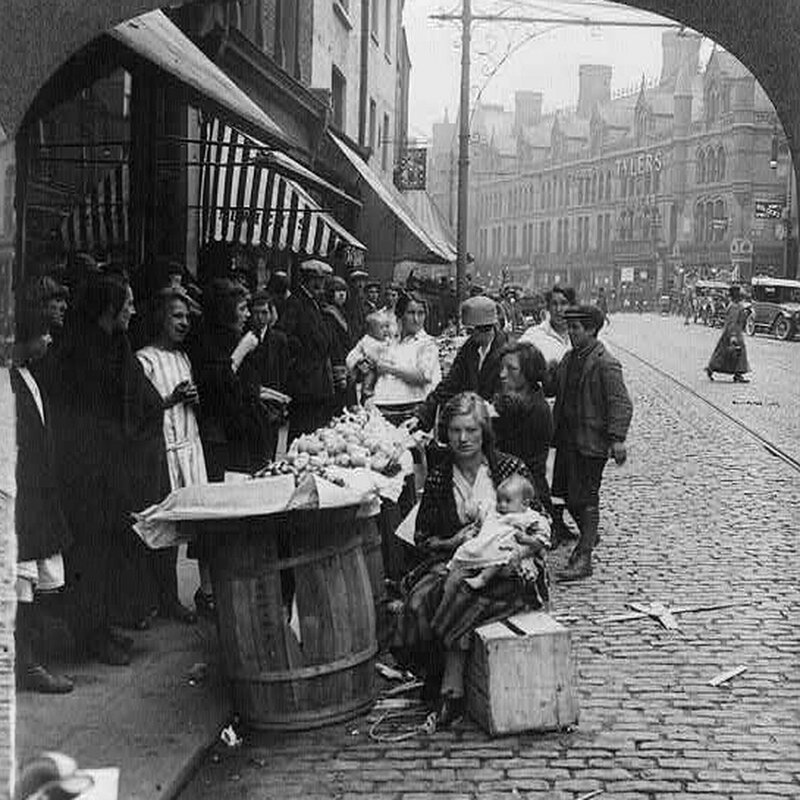 Street traders on Dublin's Georges St in the early 20th century. But some changes did take place in Dublin in the course of the 1920s, even if these were piecemeal rather than revolutionary. Streets began to be renamed in earnest, in an assertion of the new state's official identity: Sackville St finally became O'Connell (renamed as well as reconstructed in the 1920s), Great Brunswick St became Pearse St, and Rutland Square became Parnell square. The assertion of an independent identity that implied stability was of great importance to the Cosgrave government. Another manifestation of this was the vast spectacle of the Tailteann Games, a two week festival inspired by an ancient Celtic festival and focused largely (though not exclusively) on Croke Park (swimming competitions were hosted in the pond at Dublin Zoo and chess matches were even hosted in Trinity College). While the Tailteann Games proved a short -lived venture (it was discreetly abandoned by Fianna Fáil governments in the 1930s), sporting events - GAA, soccer and rugby matches, and even the perennial Dublin horse show hosted by the Royal Dublin Society (RDS) - attracted massive crowds throughout the late 1920s and beyond. Perhaps ironically, the RDS found itself providing the permanent seat of government; Leinster House was rented and then bought outright as the new seat of Dáil Éireann, rather than the iconic venue of the old parliament on College Green. For the Free State government, finances again played a role in the decision; the potential cost of compensating the Bank of Ireland was prohibitive. In the absence of such an obvious marker of independence, College Green played host to other contests over identities. 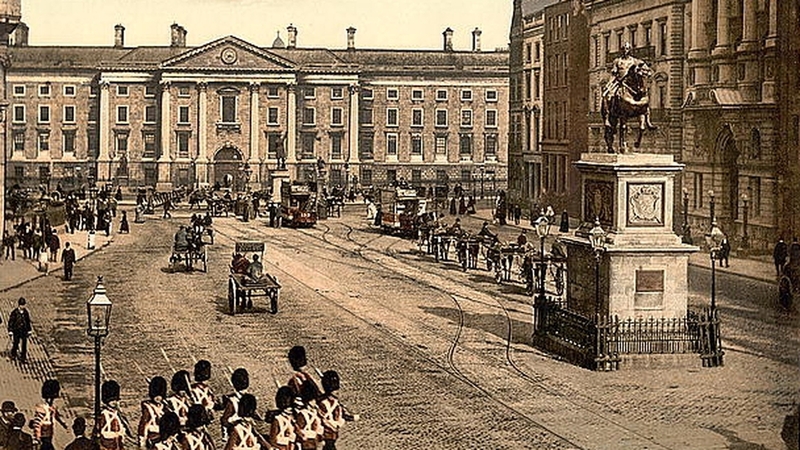 Dublin's College Green complete with statue of King William III in late 19th century. Armistice Day, 11 November, attracted vast crowds to College Green in the early 1920s to mark the end of the Great War, though this served as a flashpoint for scuffles, with republicans and Trinity College students being singled out as notable, if diametrically opposing, culprits. Trinity students had developed the habit of closing off College Green to commemorate the two minute silence, which they then followed by singing God save the King (which remained a fixture in TCD long after 1922). Memorial Poppies, as sold by the Royal British Legion, were a common sight in the Dublin of the 1920s, and were often denounced by republicans as imperialist symbols. It should be said that some republicans stated that they had no problem with commemorating the war dead in itself; it was their posthumous recruitment into political causes such as loyalism that was deemed objectionable. Political sensitivities arising from the struggle for independence complicated the remembrance of the dead of the war, despite the fact that so many nationalists had served in the British armed forces as well. Opposition to what Armistice Day was seen to imply took more destructive forms. The statue of William III on College Green, for example, was finally removed after being damaged by a bomb on the morning of 11 November 1928 (a number of other monuments were damaged on the same day). This was a deliberate action, intended as a counterpoint to the loyalism that was assumed to characterise the commemoration of Armistice Day. But if monuments were to be destroyed because of a loose association with the war, a massive memorial that was explicitly linked to the war was constructed from the later 1920s onward. The erection of a national memorial to Irish servicemen who had served in the Great War was being proposed almost as soon as the war was over; in 1919 a trust fund was established to that end. There were various suggestions as to what form such a memorial would take (such as a physical monument, or some form of practical assistance to ex-servicemen). The suggestion that Merrion Square provide the setting for a memorial gave way to the choice of Islandbridge, west of the city, and the creation of an impressive (if discreetly out of the way) memorial gardens designed by no less a figure than Edwin Lutyens, the architect of the London cenotaph. Change in the capital of the newly independent Ireland was subtle rather than revolutionary, but some reconstruction was inevitable: O'Connell Street was being rebuilt from the late 1920s into a more commercialised street. The rebuilding of the GPO (little more than the original facade survives) is simply the most famous aspect of a project that saw the construction and reconstruction of iconic buildings such as Clery's and the Gresham Hotel. 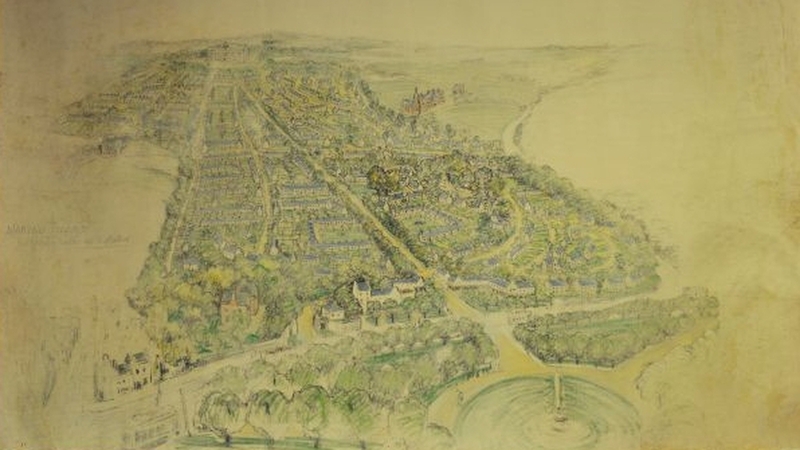 A preliminary sketch by the architect Raymond Unwin for the garden suburb of Marino, 1914. The new reconstruction brought a new emphasis on entertainment in the form of cinemas (such as the elaborate Savoy) and new dancehalls. The growth of the latter prompted moral panics at the notion that such institutions were corrupting the moral fibre of the youth of Dublin, and indeed of the Free State in general. The notorious red light district of Monto, for example, was finally closed down by the Gardaí (the post-independence police force that replaced the Dublin Metropolitan Police and Royal Irish Constabulary) in a series of major raids in March 1925, following a lengthy campaign by Frank Duff and the newly formed Legion of Mary. Physical change continued to take place at a more modest level. The arrival of the so-called International Style brought a modern trend to public and private housing throughout the 1920s and 1930s, and the creation of new flats complexes in the inner city. Alongside slum clearance and industrial development come structures associated with, amongst other subjects, religion (Christ the King Church in Cabra and the Oblates Grotto in Inchicore), retail (Clery's), the First World War (Rathfarnham War Memorial Hall and the National War Memorial Gardens), law and order (Pearse St Garda Station) and entertainment (the Savoy Cinema, or the Bathing Shelters at the North Bull Wall and Clontarf). Elements of the city's commercial infrastructure remained largely unchanged. Grafton Street was less disrupted and retained much of its old Victorian character (not to mention its status as Dublin's premier shopping street). What was lacking in the architecture of this period was a grand scheme or plan. Hopes that the damage caused by the revolution could prove a blank slate on which to inscribe a capital city worthy of a newly independent state proved illusory. The 1920s saw the first major suburban expansion in a generation, with the creation of a new 'garden suburb' in Marino, in which houses were to be built in a spacious non-utilitarian style. With regards to the basic conditions of living, a vast increase in the number of cars on the streets of Dublin in this era was to have knock on effects, in terms of congestion, road safety and damage to the streets; the number of cars in Dublin doubled in the decade after 1914, with 11,000 on the streets by 1925. Traffic management was now added to a long list of issues that the city authorities would have to grapple with into the future. The aftermath of the North Strand bombings. Dublin between the wars was a hub of Irish unemployment, a problem that had been getting worse from the 1920s onwards, and there were legislative responses specific to Dublin that were intended to deal with the city's chronic poverty and unemployment problems. 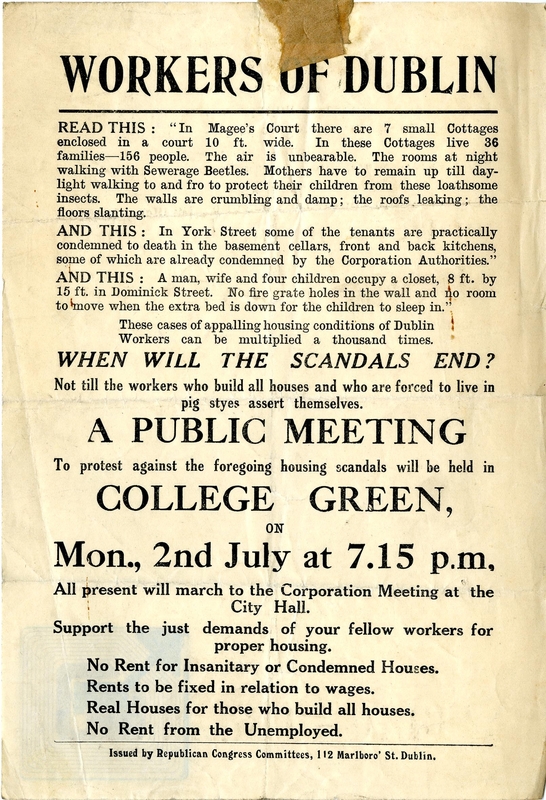 The most significant building initiative after independence would be the slum clearance and housing projects initiated in the 1930s, and even they were hamstrung by funds: hence a shift towards constructing flats, a strategy avoided by Cumann na Gaedhal, who favoured suburban home ownership, not least because it had less associations with 'communism'. The baselessnesss of such fears was surely highlighted by June 1932 when the 31st Eucharistic Congress met in Dublin, markiing 1,500 years since the arrival of St Patrick to Ireland. This enormous Catholic festival promted a massive outburst of religious fervour, with ceremonials through the city and crowds estimated to be in the hundreds of thousands attending masses in the vast expanses of the Phoenix Park, including a high mass, complete with a live broadcast by Pope Pius XI from the Vatican. The change of government in 1932 brought a new impetus to resolving the seemingly intractable housing problems. Fianna Fáil, in the 1930s, had aligned itself on social as well as political issues. There was an official awareness that Dublin had prestige, that it had remained important and could be a driver of the Free State's new economic development. Housing remained an issue throughout the 1930s. New industries began to be established (such as tobacco factories in Glasnevin and the South Circular Road) and Dublin became a hub for economic expansion during the 1930s. A new spate of hospital construction began to take place, generally funded by the vast sums generated by the infamous Irish Sweepstakes. Some striking buildings were built under Fianna Fáil's social programme of the 1930s: the Department of Industry and Commerce on Kildare Street, begun in 1939, is perhaps the most striking example among many. A British style could be seen in the influence of housing in the suburbs with a Dutch influence being evident in inner city flats. The appointment of Herbert Simms as Dublin's chief architect was a key development. The flats were reconstructed in order to kind of emphasise notions of moral as well as physical health, but they were expensive structures as they needed to be reinforced, given that they were being built in a small footprint; eventually they gave way to suburban development as a means of tackling Dublin's perennial housing problems. This was to be the fresh post-Independence start, with the creation of massive new suburbs in Cabra and Crumlin sparking what is easily one of the most significant developments in Dublin's history, though they were bedevilled by concerns about the lack of adequate services and infrastructure in what were, to all intents and purposes, new towns being built from scratch. In December 1940, Dublin corporation adopted yet another town planning scheme, again with the involvement of Patrick Abercrombie, complete with plans for new expanded estates, the creation of public parks such as St Annes (owned by the Guinness family), and major investment in infrastructure. Aftermath of the North Strand bombings. Yet just as the First World War put paid to the plans for slum clearance conceived of by an earlier generation, so another war put paid to these. The outbreak of the Second World War - the 'Emergency' - prompted the authorities to address the question of how they might deal with an attack upon Dublin. Indeed, there were elaborate evacuation plans in place during the early years of the emergency, aimed at emptying the city of its inhabitants within 24 hours, with the population decanted into the surrounding counties of Leinster in the event of major attack or bombing. 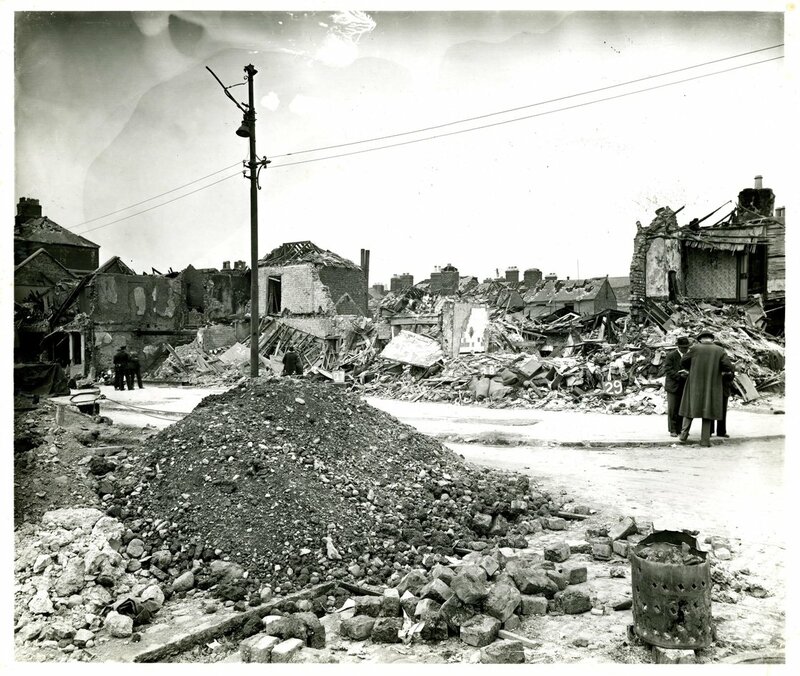 In the event, Dublin was bombed twice in 1941, with the South Circular Road and the North Strand both being hit by German bombs (seemingly by mistake) in the early stages of the war; the latter, on 31 May 1941, was by far the more destructive attack, resulting in the deaths of 28 people, injuries to another 90 and the outright destruction of 300 houses. Eamon de Valera's government had ensured that there were some precautions against air attack in the city, most obviously anti-aircraft batteries. But Dublin was not blacked out, and the air raid shelters that had been erected in the city were often regarded as filthy venues for what might be termed anti-social behaviour, and were apparently often locked to deter the latter. The anti-aircraft batteries situated in parks such as Ringsend and elsewhere had fired at a number of planes flying in an apparently uncoordinated manner around the city on the evening of 30 May. A single bomber was reportedly flying over the city later that night minutes before the bombs landed; presumably this dropped the bombs. The most damage, and most of the fatalities, was caused by a bomb that fell between tram tracks on the south side of Newcomen Bridge; the impact on the cobbled street magnified the force of the blast and the cobbles themselves served as especially destructive missiles. The explosions were heard throughout the north inner city, and scene as reported by witnesses was one of utter devastation along the stretch of road between the iconic Five Lamps and the Royal Canal. And in a development that neatly summed up the greatest change to take place in Ireland's capital since it became the capital of an independent Ireland, many of those whose homes were destroyed were rehoused in the new suburb then being created in Cabra. John Gibney is DFAT 100 Project Co-ordinator with the Royal Irish Academy's Documents on Irish Foreign Policy project. 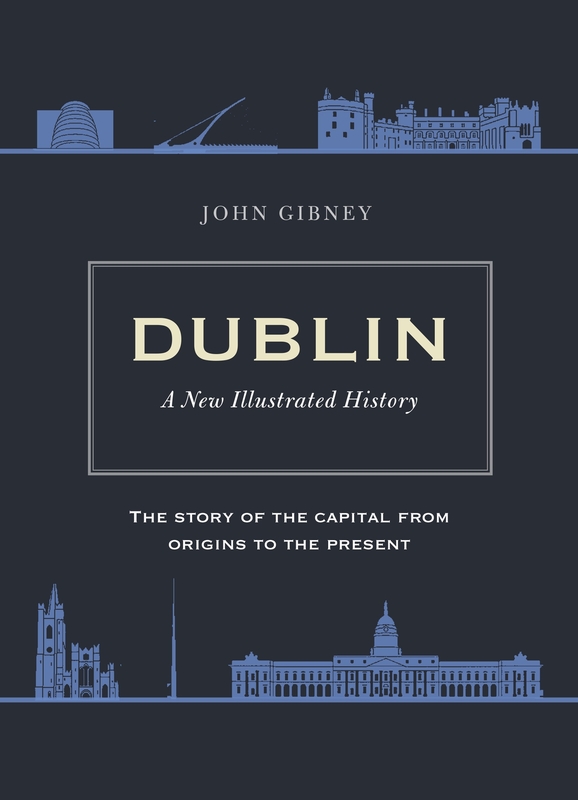 This is an edited extract from his new book Dublin: A New Illustrated History, published by The Collins Press.